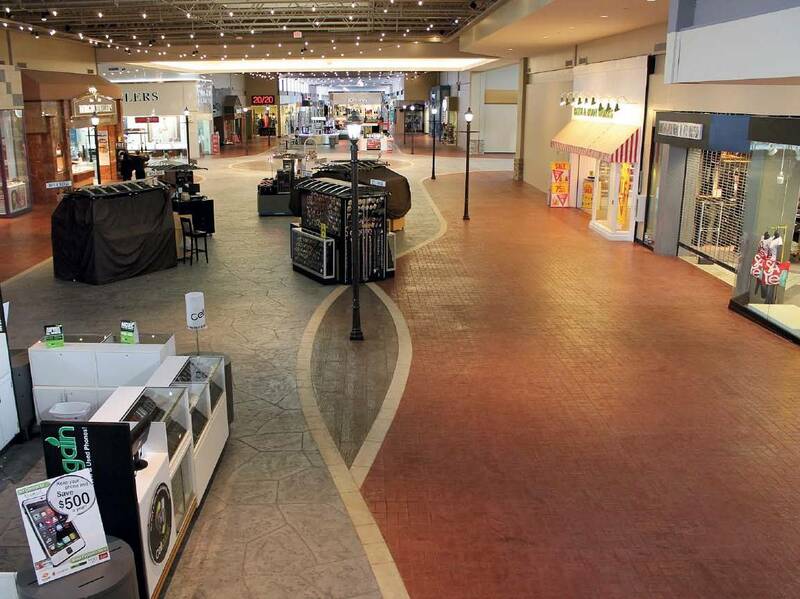 Bomanite Licensed Contractor, Architectural Concrete & Design was approached by the Mall Management team to design a topping system to go directly over their existing tile without any demolition. With the help of The Bomanite Company’s Director of Technical Services, Terry Grimble, the best system to use was designed. The work was to be performed at night once the stores were closed for the evening. Since the stores were to remain open during the construction stages, the fast drying Bomanite Thin-Set was chosen. 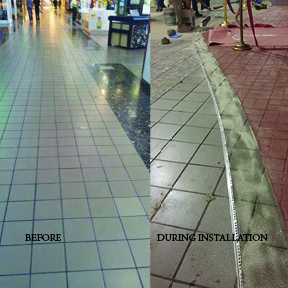 This cost effective system saved the mall management team money by not having to remove the existing tile and also keeping the mall open during the process. 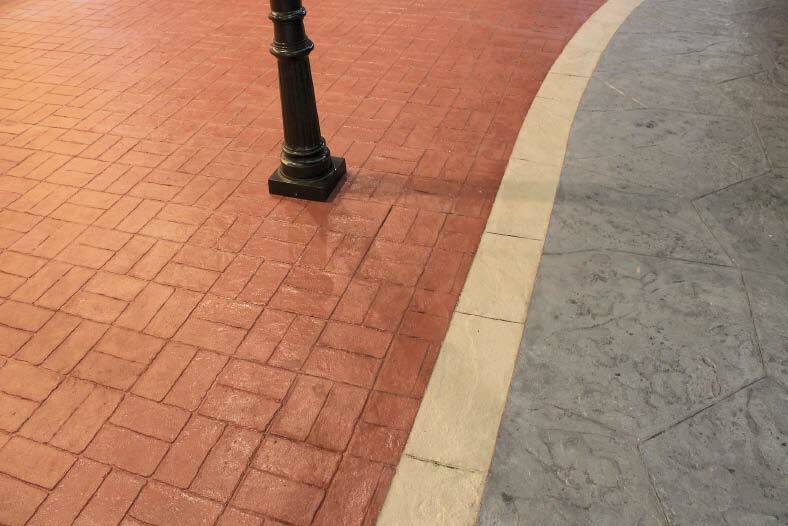 The new design called for a variety of concrete stamp patterns, colors and streetlights that would transform the mundane walkway into an interesting, winding streetscape. 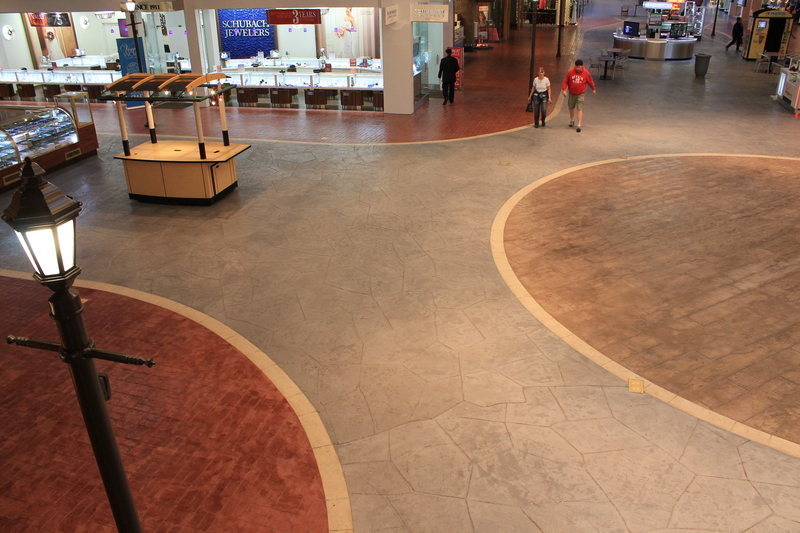 Throughout the concourse, the Bomacron Basketweave Used Brick pattern integrally colored with Bomanite Brick Red and the Bomacron Random Slate pattern in Shale Gray covers much of the way. 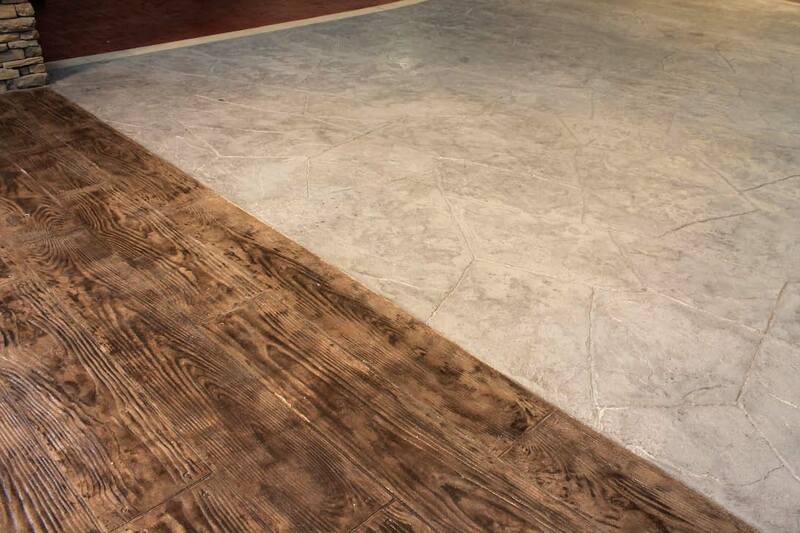 For visual breaks, the Bomacron 8-inch English Slate Texture border in Sand is straight in places and free-flowing in others. 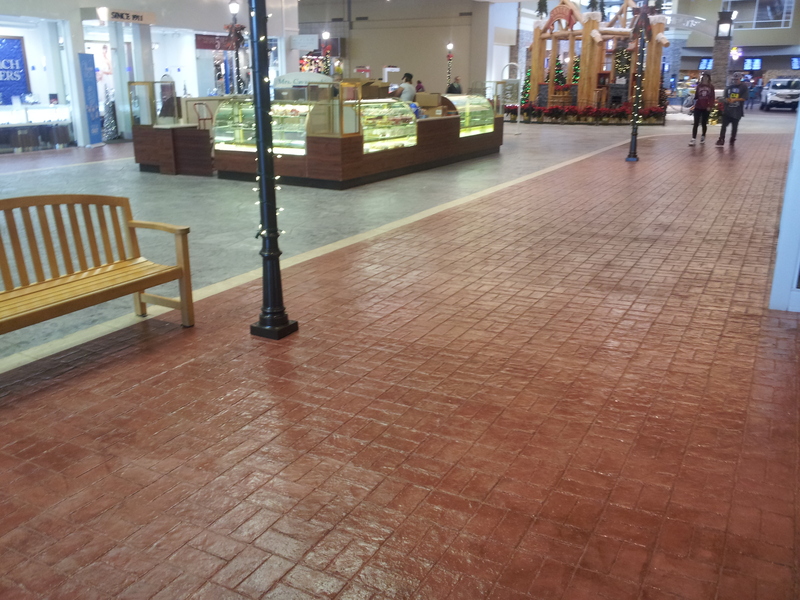 For even more variety, the Bomacron 12-inch Boardwalk pattern in Sonora Tan graces the mall’s roundabout and accents selected areas. Bomanite Thin-Set, a specially formulated polymer-modified topping mix that can be imprinted, will bond to any stable, structurally sound substrate. 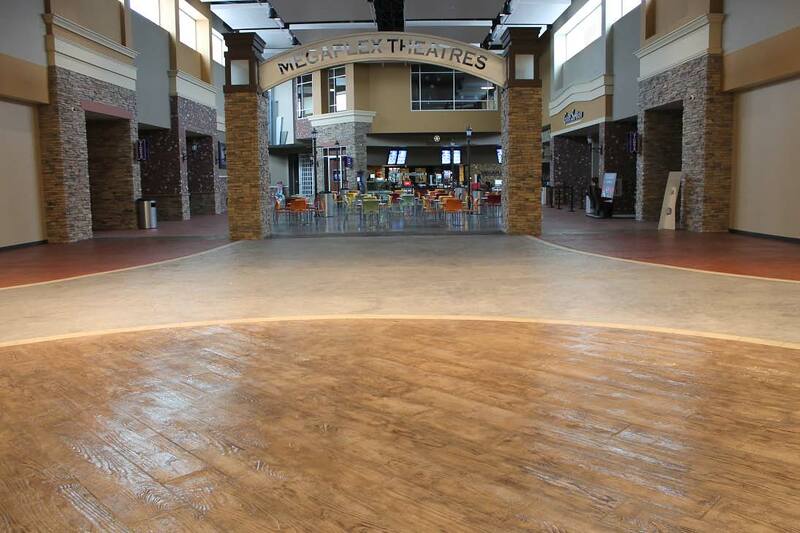 It typically is installed 3/8-inch thick and can be feathered to a zero edge. 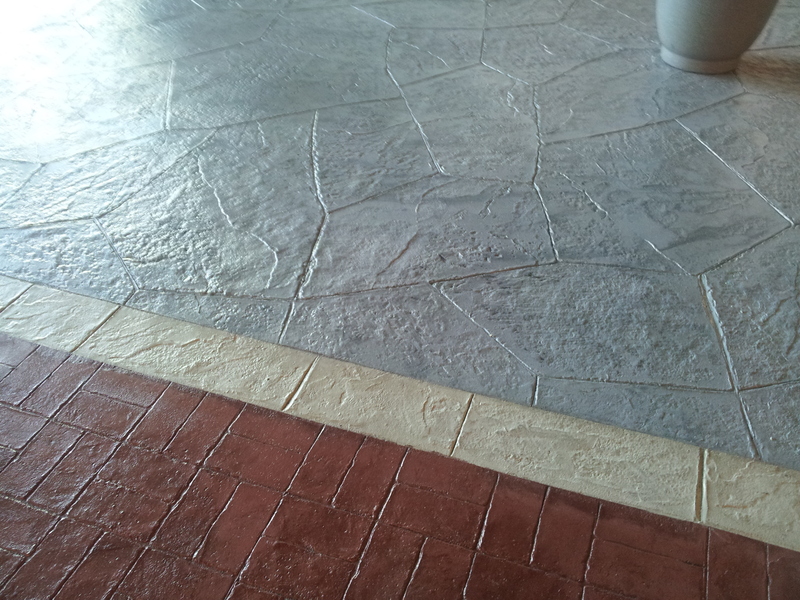 it is an extremely effective alternative to demolishing an existing substrate, Bomanite Thin-Set also can be exposed to traffic quickly — which was a priority for this job. September 2012 / 70,000 sq. ft.